The Baltic states have a rich heritage regarding knitting traditions. The last years it seems to me as if the Estonian tradition has been in focus with lots and lots of inspiring books about knitting. But let ´s not forget the Latvian knitting tradition. 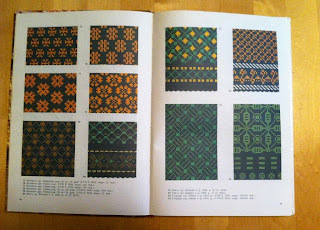 Rich in patterns and colours it is well worth studying. 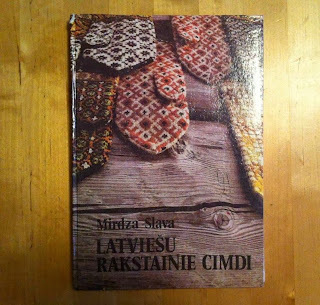 The book "Latviešu Rakstaine Cimdi" by Mirdza Slava was my first contact with the Lativian knitting tradition. It is hard to find, but I do recommend it if you have the opportunity to buy it. It was printed in Riga in 1990. 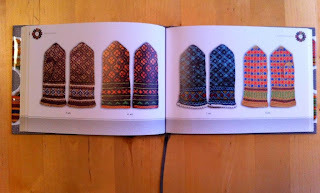 At the end of the book there is a six pages long summary in English "Latvian ornamented mittens and gloves", telling us about knitting traditions and patterns in Latvia. The book contains a little over 150 pages of charts, some in colour and some in black and white. 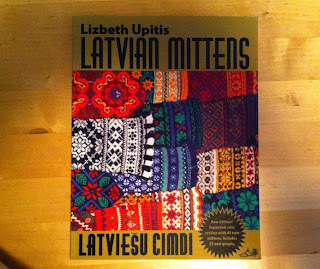 This is first and most a pattern book, it does not include instructions on how to knit Latvian mittens. 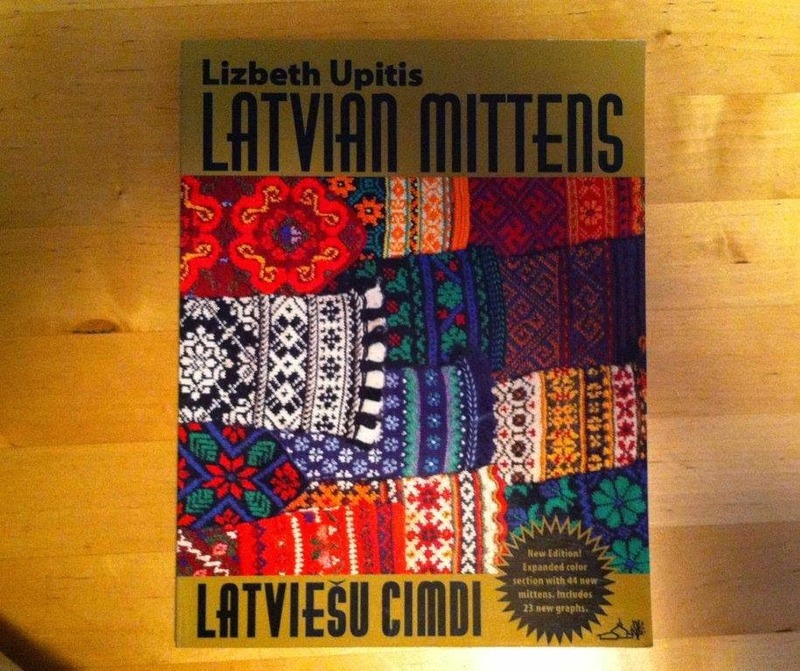 Lizbeth Upitis book "Latvian mittens" is published by Schoolhouse Press, my edition was published in 1997. This is an excellent book, still available at reasonable prices. It contains lot of information, chapters are: 1. Cultural information, 2. Traditional color and design, 3. General Techniques, 4. Instruction for child´s mitten/sampler from the district of Latgale, 5. Instructions for mitten from the district of Kurzeme, 6. Instructions for mitten from the district of Latgale, 7. Instructions for mitten from the district of Vidzeme, 8. Instructions for mitten from the district of Zemgale, 9. Pattern graphs. Many of the charts are rather small in size so you will have to re-chart them by yourself, or enlarge them in some other way. 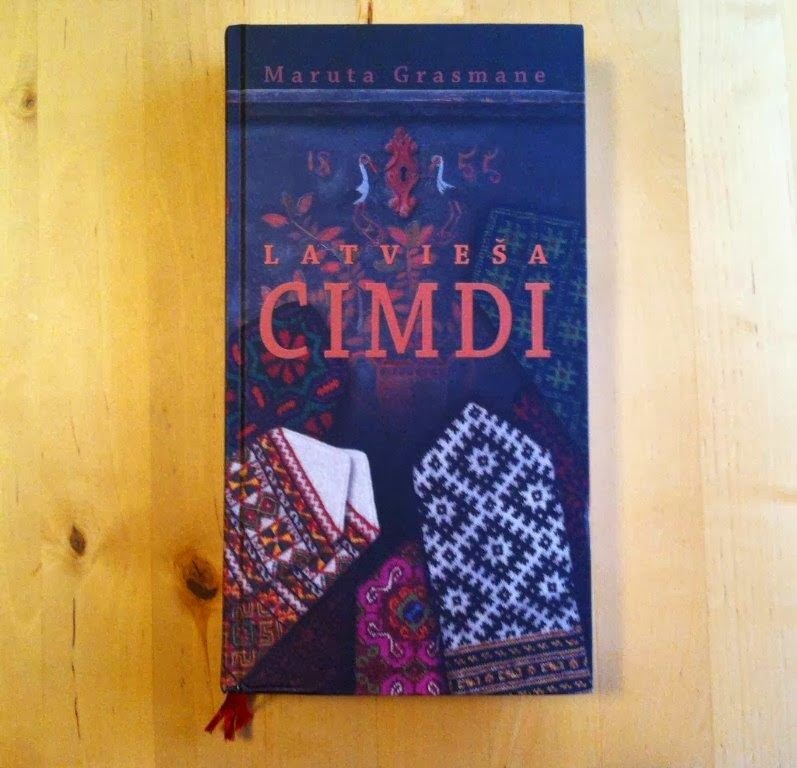 But all in all this is a must have if you want to know more about the Latvian tradition. 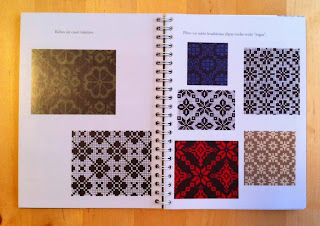 Aija Jansone´s book "Rucavas Rakastaino Adijumu Mantojums" (in English: "Heritage of Rucava´s Patterned Knitted Articles") was published in 2011. The text is in Latvian and English. It tells of the traditions in Rucava and the development of knitted article patterns there. Here you can read about the development of glove shapes, patterns and colours among other things. 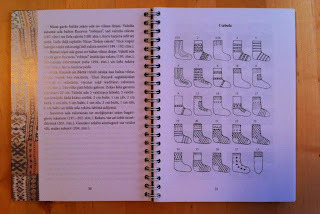 About half of the book consists of colour photos of gloves, mittens and socks. Note: There are no charts in this book. It is not a pattern book for knitters. It´s focus is the history and background of the knitted articles. 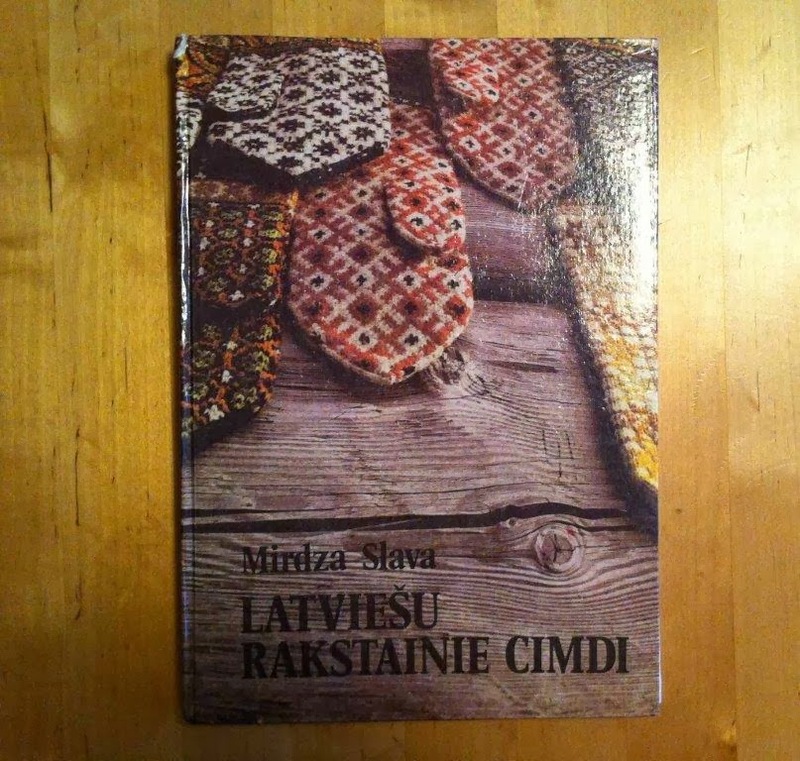 Aija Jasone´s "Dzīvā Cimdu un Zeķu Adišanas Tradīcija Vārkavā" (in English Glove and Sock Knitting Traditions in Vārkava") was published in 2008. The text is in Latvian and English. 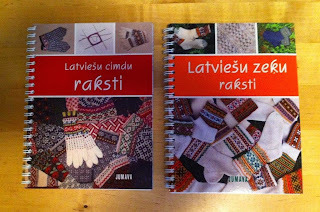 "Over a period of several centuries, rich traditions in the making, adorning, wearing and presenting of knitted articles have developed on the territory of Latvia and they are still applied on a practical and intellectual level today. (...) Hence, this edition of Vārkava gloves and socks has been created in order to avoid the material collected during ethnographic expeditions at the start of the 21st century being buried away and out of sight in archives, and so that the person of today can see the spiritual wealth and tangible culture of the nation that is in fact alive even today. In the study, the author has attempted to outline the historical development process of knitting in Latvia starting from the 13th century, shown knitted articles preserved from the 18th century from the nearby locality of Vārkava and analysed material amassed by herself in Vārkava, in 2005, which she has supplemented with the textile collections of the Preili Museum of History and Traditional Applied Art, as well as using studies by ethnographic researchers in the 20th century. The book contains 129 gloves and socks knitted in Vārkava, recorded (photographed) by the author while collecting the material." Note: There are no charts in this book. 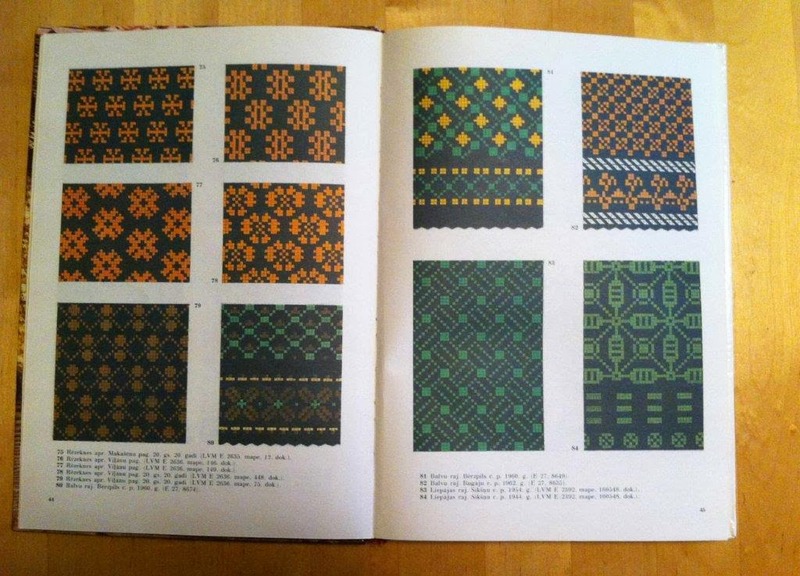 It is not a pattern book for knitters. It´s focus is the history and background of the knitted articles. Both books by Aija Jasone are very interesting reading. "Latviešu cimdu raksti" and "Latviešu zeku raksti"
The books "Latviešu zeku raksti" (compiled by Laura Krustiņa) and "Latviešu cimdu raksti" (compiled by Raimonda Strode and Laura Krustiņa) are unfortunately only in Latvian so most of the textual content is lost to me. I know that there are such things as google-translate, but a whole book ... I don´t think so. Luckily these books also contains charts - which can be very inspiring and useful. No information is available about which year they were printed. 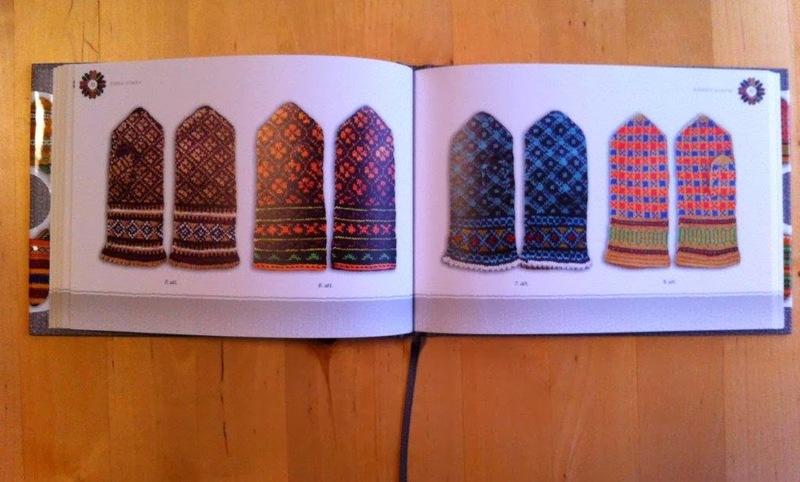 For those of you who have not yet visited "The Renaissance of Latvia´s ethnographic mittens" (part of the NATO Summit in Riga 2006) I recommend doing that. 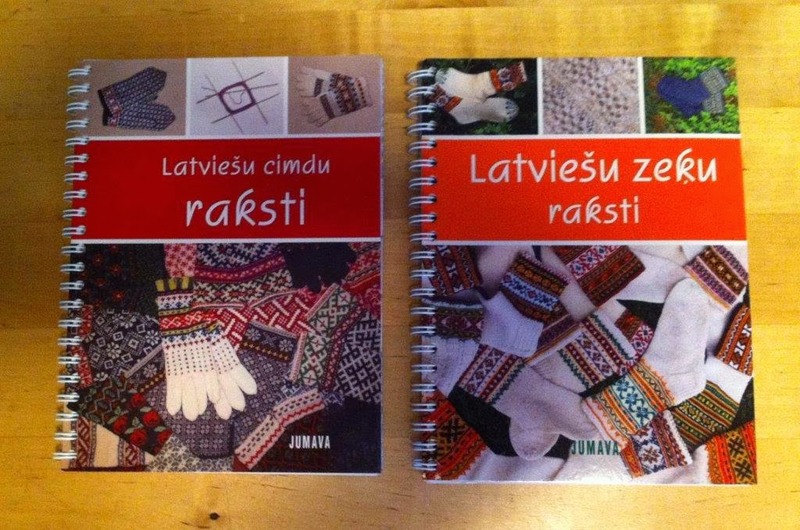 You will find hundreds of photos of Latvian mittens (both male and female) from different regions in Latvia. They have even prepared a down-load file if you would like to download the pictures to your computer. You will also find The story of a thousand year old Latvian mitten there. How could anyone not love and admire such amazingly wonderful mittens! Just now "Riga 2014" started and Riga is now the European Cultural Capital. I am sure we can get a lot of information about textile traditions during this year!